As people grow closer to their dogs, it has become more common to carry them along on trips and outings rather than leaving them alone at home. However, taking a long road trip with your pooch or large dog presents several challenges such as keeping the dog safe and comfortable inside the car. The good news is that with a portable, soft-sided dog crate and carrier, you can keep your dog safe and comfortable inside your car while traveling. In this review, we will go through the best 9 dog crates and carriers for cars. We have also included a detailed buying guide to help you find the right dog crate and carrier for your dog. How Safe Are Dog Crates And Carriers? Our top pick product is the Sleepypod Mobile Pet Bed. This crate is quite versatile and can be used in different ways. For instance, you can use it as a car seat for your pet or fasten it to your car’s seat using its straps. The crate has been tested by the Pet Passenger Restraint System and approved for meeting the required safety standards. 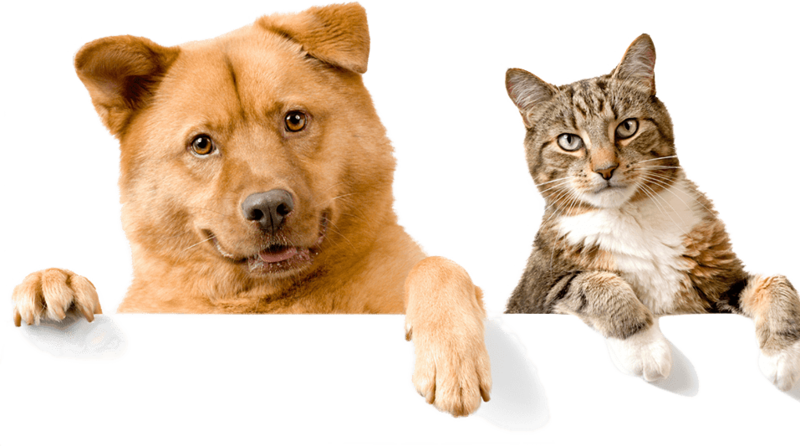 You can be assured of the safety of your pet in case of a crash or sudden emergency car braking. This mobile crate acts as a comfortable bed for your dog too. The inside of the carrier is made of ultra-soft polyester with a foam cushion that feels comfortable to the dog. The crate also acts as a portable carrier for the dog. It has padded straps and holders that can be used to carry the dog over the shoulders or by hand. This is an ideal and luxurious crate for small dogs. You will not have to worry about how comfortable your small dog feels inside the crate while traveling. The carrier is perfect to use in the car or airplane. It is easy to use. Just unzip the top cover to retrieve the dog. It is a great choice for owners of small dogs. This classy dog carrier is strong, light, well ventilated and stylish enough to carry your dog in. It is made of strong durable steel tubes. The outer cover is made of a durable and good quality 600D material. The material is sturdy enough to withstand your dog’s chewing. The crate just like the name suggests has three meshed doors, one on the side, on the front and on top. It has two pockets on the side and on top which you can use to carry accessories. The EliteField 3-Door Folding Soft Dog Crate has a handle and padded carrying straps for easy and comfortable portability. It has removable and washable beddings made of high-quality absorbent material. Your dog will find this bed quite comfortable. This is a budget dog crate that can be used in the car. It can also act as a nest for your dog when you are far from home. This cost friendly dog carrier is a must-have for every family that loves taking road trips with their dog. You will find it very convenient when your dog has no place to sleep on. It is made of high-quality durable materials and can carry both small and medium-sized dogs. This is one of the strongest dog carriers in the market today. Made of a hard plastic material this crate is useful when you want to ensure that your dog doesn’t escape while in transit. It’s user-friendly and can be used both indoors and outdoors to keep your dog safe. The crate is big enough and can accommodate even big dogs. You are assured of the safety of your dog while using this carrier. It’s travel-friendly and comes with safety belts that can be fastened to a car seat. If you value the safety of your dog this kennel is all you need. It ensures that your dog doesn’t escape and its interior is quite comfortable for the dog. It comes with top handlebars for better portability. Made for dogs with a weight of up to 90lbs, this dog carrier is designed with a sturdy material that doesn’t wear out easily. The frame is made of strong steel with weave mesh windows. The window ensures there is enough air circulating inside while allowing the dog to enjoy the views outside. It comes with a water-resistant bed for your dog. The crate has holding straps that makes it easy to carry the dog. It guarantees the safety and comfort of the dog while on transit. This is a perfect crate for anyone searching for a comfortable carrier to transport the dog at a good price. Whether you are on a road trip or going to the vet, the Noz2Noz Soft-Krater is the best to carry your dog in. Suncast Deluxe Pet Carrier with Handle is an elegant pet carrier that is made of strong wire and resin. It comes with a bowl for food and water. It can hold dogs of different sizes, whether big or small. The crate has a tough handle at the top for easy portability. This dog carrier is best suited for long road trips. It is safe to carry on both the airplane and car. The safety of your dog is guaranteed when using this crate as it cannot tear the walls and jump out. If you are looking for a versatile pet carrier with a handle and durable construction, then you may need to consider this Suncast Deluxe Pet Carrier. It has soft comfortable bedding and is available in different colors and styles. The 2PET Foldable Dog Crate is a lightweight dog carrier that is made of a strong steel tube and a 600D material. The fabric material is washable and can be removed and fixed easily. It has a meshed window which gives enough ventilation to the dog. It is a soft crate that can be used indoors while traveling, training the dog or when taking a sick dog to the veterinary. It is an affordable dog crate that still provides lavish comfort to your dog. It comes with a strap for shoulder carrying and a handle for easier portability. The 2PET Foldable Dog Crate will come in handy when you need to travel with your dog or train it. It is affordable and will give you value for your money because of its multifunctional design. Made from an odorless material, this pet carrier will ensure that your dog stays healthy. It’s made of three meshed doors, a frame made of lightweight steel, and a top holder. It has an extension that can be unzipped to give plenty of room for the dog to sleep on. This crate is strong enough to accommodate a heavy dog. Just like the name suggests, it can be safely used on an airplane or inside a car. The travel dog carrier comes with a water holder that can also hold a food tray. The Petsfit Travel Pet is suitable for those long train and car rides. You will not need to worry about the comfort of your dog when you have one of these. This is one of the most comfortable dog carriers on the market today. A4Pet 27" Pet Car is an ideal car pet carrier for medium sized dogs. It’s made with a strong material that doesn’t tear easily. The A4Pet carrier has two belts that can safely be strapped to the car seat. It is secure and will keep the dog safe. It has a strong zipper that your dog cannot chew on. The crate has entrances on the right and left sides. The sides of the crate are meshed to give the dog enough air circulation. The pet can also enjoy outside views as you travel. When looking for a soft dog crate for traveling with your dog look no further than the A4Pet 27" Pet Car. It’s a safe, convenient, and CPS approved dog carrier. This is a plastic kennel with a steel door and ventilation on the sides and at the top. It is secured with screws at the top and bottom to ensure that the dog cannot open the door and escape. The two doors at the front and back give you quick access when loading. It has a top handle for easy portability. The plastic material is durable and weather friendly. This is a nice carrier for transporting an untamed dog. It’s easy to clean too. If you are looking for a two-door pet kennel to transport an untamed dog, the Two-Door Top-Load Pet Kennel is your best choice. It has a weatherproof design and is well ventilated to keep your dog comfortable. What are dog crates or carriers and why do you need one? Some dogs are easily excitable and quite unpredictable. They can even jump out of a moving car at the sight of a squirrel on the roadside. You need a comfortable and secure dog travel crate to hold the dog when traveling with it in your car. Dog crates are secure, portable, and comfortable soft-sided crates or carriers that help to keep your dog safe and comfortable when traveling. The crates are easy to set up and dismantle after use. They are made from a strong durable metal frame with fabric or mesh linings. The dog crate makes it extremely easy to carry along your dog while ensuring that the dog enjoys fresh air inside the crate. Why do you need a dog crate? Many dogs today are already crate trained and will comfortably sit inside the crate while traveling. The crates are comfortable for the dog and provide an easy and convenient, manageable way to handle your dog in the car. A travel crate is a perfect option for a family that never leaves the dog behind when going out for picnics or vacations. Here are some of the advantages and benefits of purchasing a car crate or carrier for your dog. The crate provides a secure and comfortable way to travel with your dog. Most dogs enjoy lounging inside the soft-sided comfortable crate. The crate is also designed to provide plenty of air for the dog. Less stress for you. When you invest in a good travel carrier or dog crate, you eliminate all the worries you would otherwise have about the comfort and safety of your pooch. You can concentrate on driving without stressing about your dog. Great experience for pets. The comfortable crates have soft sides and come with mesh or fabric lining. The design allows your dog to enjoy the scenic views you drive past in a secure and comfortable containment crate. A solution for dog’s potty accidents while traveling. There are those times when your dog cannot hold it until you get to your next stop. Dogs have small bladders and may not hold pee for a long time. A dog crate is easy to clean if the dog has a potty accident before you get to the next stop. Safety is an important factor in any crate or carrier used to carry your dog when traveling. There are numerous dog crate products in the market which makes it difficult to claim with a degree of certainty that all dog carriers and creates are 100% safe for your dog. Fortunately, you can always check for CPS certification on the crate to ensure that it has been tested for safety before you buy the product. When you don’t trust the manufacturer, you can always check for a safety mark from the Center for Pet Safety (CPS). This is a non-profit organization that provides independent safety testing for harnesses, crates, carriers, and other pet products. A 2015 crate study test by the CPS found that many dog crates cannot protect your dog in a collision. The CPS study even discovered that some dog crates that are being marketed as crash-tested have doors that easily fly off, cages that instantly cave in and straps that snap easily on impact. Fortunately, there are reputable brands that manufacture strong, safe, and secure dog crates for cars. These are products that you can count on to provide real protection for the dog and other human passengers inside the car in case of an accident. How do you find the perfect crate for your dog when you want to bring the dog along in your vacation or outing? 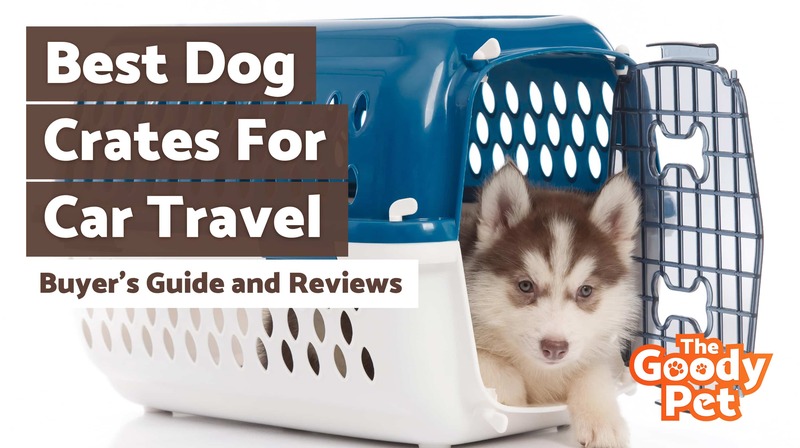 Here are a few important things to look for in the right travel crate for your dog. The first and most important thing to consider in a dog carrier is size. Your choice will depend on the breed and size of dog you own. You need a crate or carrier that has enough room for the dog to turn around and stand up without scrapping on the sides. If your dog is still a puppy, go for a larger model that will continue serving you as the dog grows bigger. The carrier has to be durable and strong. It should preferably be made from a good mixture of heavy-duty metal and plastic materials. Look for crates made of lightweight and durable frame materials such as steel or aluminum which are light enough to carry around easily. The materials are also strong enough to withstand wear and tear. If your dog likes to chew, then get a carrier that’s specially designed with strong and durable fabric or mesh. Get a product made with heavy-duty soft-sided materials such as luggage-grade nylon. Your dog’s comfort is an important factor to consider when buying a traveling crate or carrier. The whole purpose of carrying the dog along is to make it enjoy the trip not to punish the poor animal in an uncomfortable containment crate. Make sure the crate has soft-sided materials and more importantly ensure that the crate has a soft bed pad or mattress. If the crate doesn’t come with the mattress or bedding then make plans to buy one separately. Make sure your pet will always rest on soft bedding every time it’s inside the crate. The strength and durability will also depend on the type of strapping it comes with. Look for travel carriers with strong and durable straps. If you want a smaller crate, make sure it has straps that allow you to attach it to the car’s seatbelts. Larger models should allow you to strap or tie them down securely inside the car. There are hardly any regulations on the pet safety market when it comes to dog crates and carriers, which leaves you at the mercy of the manufacturer’s claims. Your best option is to look for a dog crate that has passed crash tests. The results are in most cases publicly available or indicated on the product. The best models are those that have a 5-star CPS certification for crash tests. Cost is important too but avoid going for the cheapest model you can find at the expense of your dog’s comfort or the crate’s durability. Look for a model that falls within your budget but that is not made of cheap insecure and uncomfortable materials. Most of the products we have reviewed in this dog crate and carriers for cars review article are high-quality products with affordable price tags. It’s important to ensure that your dog is not only comfortable but also safe while traveling. If you want your dog to be safe from injuries or even death in the unfortunate event of a car accident, then get a good securely built dog crate or carrier. Your loving pooch should always travel in a high-quality crash-tested traveling kennel. There are many dog crate products out there which makes it hard to find the right one for your dog. Of the 9 dog crates and carriers discussed above, we picked the [Sleepypod Mobile Pet Bed](https://amzn.to/2TOlIXy) as the top choice, which comes with all the top features and functions you need in a safe and secure dog carrier.